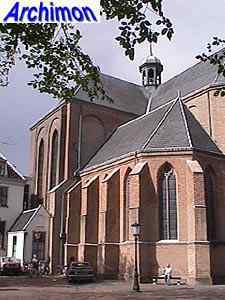 The Pieterskerk ("St. Peter's church") or Walloon church in many ways is the St. John's twin. 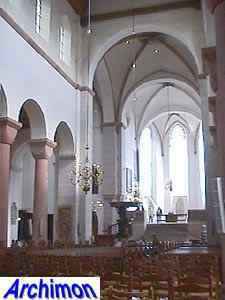 Not only are both churches equaly old (both were started c. 1040 and consecrated in 1048), originally they must have looked virtually the same too, both being cruciform basilican churches in early-Romanesque style. 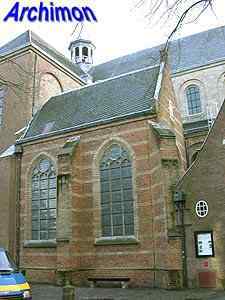 Also, both churches were chapter churches that were part of bishop Bernold's cross of churches, the St. Pieter being its easter end. 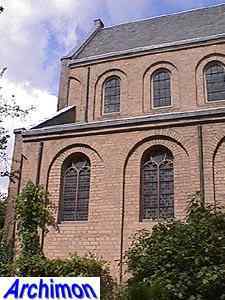 Of all Romanesque churches in Utrecht the St. Pieter is the best preserved, both outside and inside, even though it has had some changes. 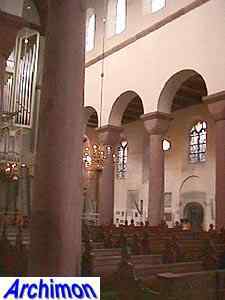 It is clear to see that the church used to be longer to the western side. 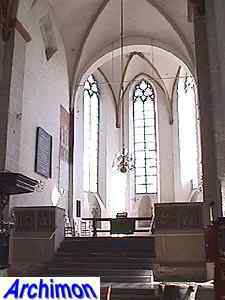 One trave to be precisely, but the great hurricane of 1674 destroyed that part of the church, which was flanked by two towers. 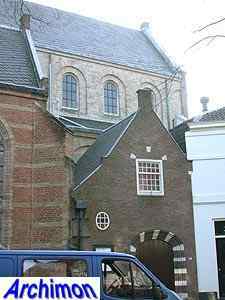 A new facade was added in 1677, designed by Gijbert Theunisz. 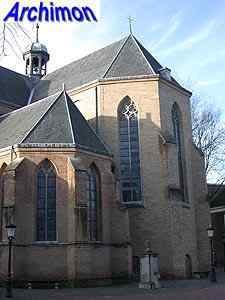 van Vianen. 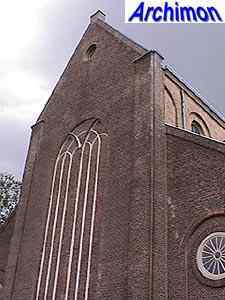 At the same time the facade of the northern transept arm was renewed in brick. The loss of the towers was compensated by the addition of a smaller bell-tower on the crossing. 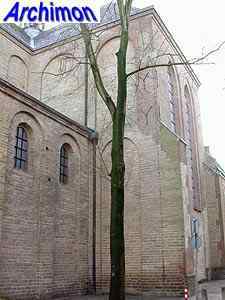 But already in the middle ages many changes were made to the church. The choir and transept had had some changes in Gothic style. From the 13th century date their stone vaults, which replaced the former wooden ones. 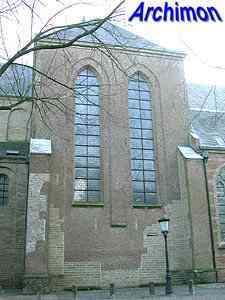 Also, some windows in that area were changed to a more Gothic look in the 14th century. 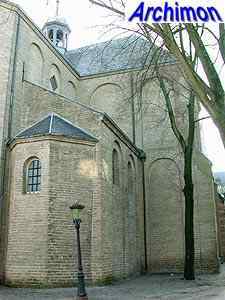 A lateral chapel in Gothic style replaced an earlier Romanesque one south of the choir early in the 14th century. 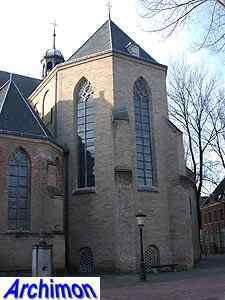 C. 1500 another Gothic chapel was built to the northern side-aisle. 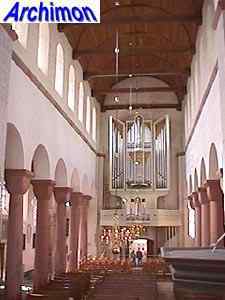 It should be noted that, the St. Pieter being a chapter church, the choir originally extended well ito the nave, which was seperated from the rest of the church by an organ loft. 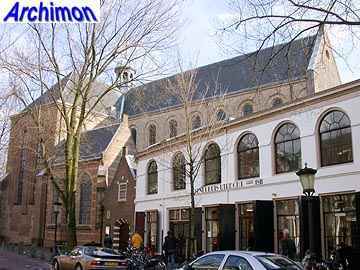 This situation ended in 1580 when Utrecht joined the Reformation and the Pieterskerk became a protestant church. 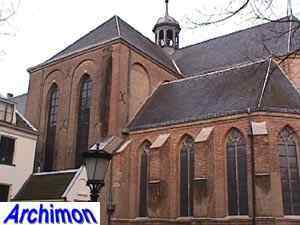 It has been a Walloon church ever since. 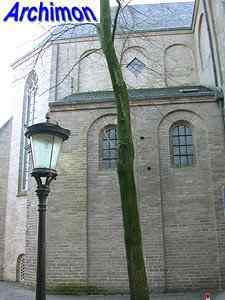 During several restorations in the 20th century some small details of the former catholic interior of the church were restored. 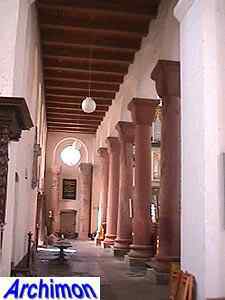 Also, four of the original red sandstone pillars had to be replaced and were moved elsewhere in the church, where they now have a decorative, non-supporting function. All wooden vaults are from this period too. 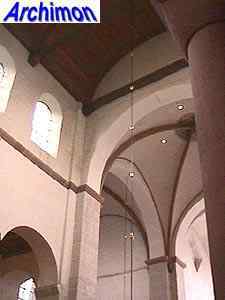 The nave has a barrel vault, while the side-aisles have plain horizontal ceilings.